Hello Friends, You are all welcome. Today we are here with a very special post. This special post is all about “Smartphone Flashing” or “Methods to Flash Android Smartphone “. As you know I started my Own website We Observed to Provide you the Best Possible Tutorials to Solve Common Device Problems.And I am glad to tell you that we have done this job very well. We have covered most of the Major problems and their solution Related to Android. Now in this post, I am collecting all my published tutorials guide to Flash Android Smartphone in a single post. So it will be easier for you to find the best way to flash android smartphone easily.Before going to tutorials let me explain to you what is Android Flashing or smartphone flashing. What is Android Smartphone Flashing? Flashing means installing The OS on the Supported Device.Similarly, Android Flashing means Flashing Android OS on the supported smartphones.Flashing is performed with the help of Flashing Tools.There are many types of flashing tools available according to the Chipset used in the particular device.For Example for MTK Smartphone there is SP Flash Tools, for Samsung Smartphone there is Odin Flashing Tool, and to Flash Qualcomm, there is QFil, Qcom Phone Download Tool, Qualfast, eMMC DL Tool, Xiaomi Mi Flash Tool. and GNQC Download Tool. Why we Flash Android Smartphone? As a regular Android user, I just want to say android is lovable, I never felt such freedom in any other OS. Now the same freedom also inspires us to do all the Non-required Extra-ordinary tasks or attempt. I am using the word “Extra-Ordinary” Because A ordinary people or user has no interest in these tasks or maybe they got afraid to lose the same lovable Android Smartphone. Most of the time we got success but some time we fail also. If mission Successful we will share our Success story with other, and if failed we have to find out the way to Flash Android Smartphone.So basically Android Flashing is a way to Unbrick Your smartphone or we also can say that Android Flashing is a way to give a New life to Your Android Smartphone. Manually Upgrade Any Android Device. Sometimes the upgraded version of Android OS for your phone is available on the net, but not visible in phone upgrade menu because of Root, so flashing also can help you in upgrading your smartphone manually. So I think Now you are not strange to Life and money saving Android Smartphone Flashing.As I already said there are many types of Flashing tools available so to make the choice easy for you here is the method to find the chipset type of your smartphone. How to Know the Chipset of Your Android Smartphone? Search “CPU-Z” in it and Download it. When the Application is Installed, Open the app and you will see all your phones and hardware components models. On the SOC menu, you will see the chip and model of your device boldly written at the top portion of your screen. Method 2 is very simple, and it is the only way to know your smartphone’s chipset, when your phone is Bricked or not Accessible.In this method, you just have to type Smartphone’s Brand name and Model number on the Google Search Bar and click on Search button.By using this method you will get all of the information about your Smartphone very Easily. Brand and Model must be same Otherwise you can Brick your Smart Phone. Never Downgrade Android Version of your Smart Phone. Before trying anything Make a complete Backup of your data and your system first. (Highly recommended) because all data of your device will be deleted. If tool hangs at setting up connection just unplug the USB cable and reattach it, Flashing tool should now resume. Do not disconnect the cable or turn off the Smartphone once the flash has started, it will reboot when it finishes. Never try to Downgrade Your Smartphone. Either IMEI no., SN, Wifi/ Bluetooth Address will be lost or Smartphone will be bricked or Dead. Flashing is sometimes risky so TRY IT AT YOUR OWN RISK.We are not responsible for any damage. Now, after confirmation that your smartphone is Qualcomm based device or MTK Based Device, let’s move to the main part of this post which is How to Flash Any Android Smartphone. So Finally There are three big names of Chipset for Android Smartphone Qualcomm, MTK, and Exynos.Exynos is basically used in Samsung Smartphones. So in this post, we are covering Methods to flash Android Smartphone with these below headings. Let’s Proceed to the first one, Find the chipset and Follow all steps one by one Carefully to flash Android Smartphone without risk and to reduce the chances of brick.Flashing and Upgrading are risky, but Reward Never Comes Without Risk. I personally used it hundreds of time without damaging my device. Follow this guide to Flash Android Smartphone, if and only if your Smartphone is Having MTK Chipset. Your Smartphone must be >70% charged. A windows PC/lappy with USB VCOM driver installed.You can download the USB VCOM driver for all MTK device from HERE or HERE or you can search and download from Google. Winrar to extract all downloaded files. Make a complete backup of your data and system before attempting all the following process. 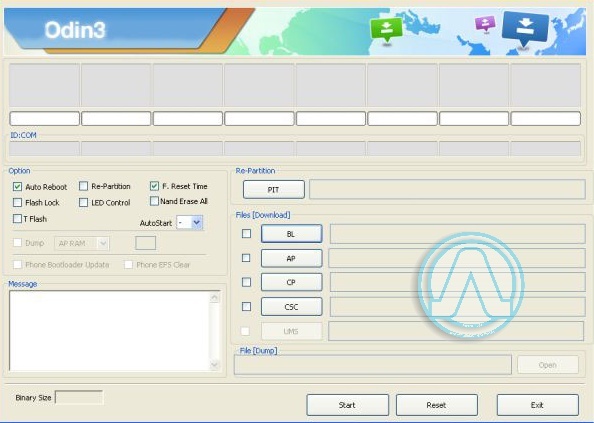 Make everything ready and connect your device to your PC through data cable and allow all driver installation.if you find any error then just install all the drivers from the given links. Unplug the USB cable from the device. Download and Extract SP Flash Tool and extract it to your PC Hard disk. Download Flash Files From Above Link and extract it on your PC. Run flash_tool.exe from MTK Flash tool folder. Now regions of your device will be loaded. Now switch off your Smart Phone Remove Battery and Reinsert it. Connect it to PC through USB. In the Progress bar of SP Flash tool first, a blue/Purple bar will appear then red and then yellow. it will take about 10 minutes to complete. if success then Download OK window will appear. Now Unplug the USB cable from the device remove the battery and reinsert it and Press the Power button.It will take almost 2-5 minutes to boot up.so just watch the Screen and wait for the first look of your Android Home Screen. Your phone is successfully flashed. Follow this guide to Flash Android Smartphone, if and only if your Smartphone is Having Qualcomm Chipset. A Windows PC or lappy with Installed Driver of Your Qualcomm Smartphone. Download and Install Qualcomm Android USB drivers from Here. Make a complete backup of Your Samsung Smartphone. Qualcomm Smartphone with more than 80% Battery life. Take a complete backup of your Smartphone. Download and install Qualcomm USB Driver on your Computer from above link at requirements section. Download and extract Qualcomm Flash Image Loader (QFIL) on your computer from above link at requirements section. Download and extract Flash Files of your Qualcomm Devices on your computer from above link at requirements section. After extracting, you will be able to see many files in the folder. Find QFIL.exe in the Folder. Once QFIL is opened, Switch Off your Smartphone or Tablet. Once your Device is Switched Off, Press and hold volume UP Key and Connect the Device to the Computer using USB Cable. Port and Device will be detected.Now, In QFIL, Click on Browse Button and locate the Firmware (.mbn) from the folder where the flash file is extracted. Once, you have added the firmware file, QFIL will automatically load the rest of the firmware data. Now, Click on the Download button to begin the Flashing Process. Flashing Process may take up to 12-15 minutes to complete. Once Flashing process is completed your device will be reboot automatically. Now Click On EXIT Button at Bottom of the Tool and disconnect your device from the computer and set up everything on your device to use it. Follow this guide to Flash Android Smartphone, if and only if your Smartphone is Having Exynos Chipset.Or Made by Samsung. A Windows PC or lappy with Installed Driver of Your Samsung Smartphone. Download and Install Samsung Android USB drivers from Here. Samsung Smartphone with more than 80% Battery life. Make a complete Backup of your Samsung Smartphone Before try anything. Find and Download the Correct firmware file for your Samsung Smartphone/Tablet from the above-given link. Download the latest Odin from the above link. Make Sure that Auto Reboot and F.Reset options are checked or enabled, and other options should be left at their default values. Make sure that re-partition option is not ticked and do not load the PIT file found inside the firmware zip file as it will repartition the Disk space. I REPEAT, DO NOT TICK REPARTITION. Now boot your Samsung Smartphone into Download mode by Turn off the phone and boot it into Download Mode by pressing and holding Volume Down + Home + Power buttons together until the warning screen appears. Now hit the Power button to confirm that you want to enter into Download mode. Connect Your Samsung Smartphone to PC using a USB cable and wait for any required drivers to install and the ID:COM section to turn blue. Now Select the firmware file by clicking the AP/PDA button in Odin. Click on Start and the firmware installation process will begin. It will take few minutes to complete and then a “PASS” message will be displayed on the screen. That’s All, I hope this will solve Some of Android Problems.In this Post We have talked about Android Smartphone Flashing, Benefits of android flashing, How to Know the Chipset, Precaution Before Flashing an Android Smartphone having MTK or Qualcomm or Exynos Chipset, and at last We have talked about Methods of flash Android Smartphone.All Above methods to Flash Android Smartphone are working and having good success, but do it at your own risk.If you Like this post please share with friends and keep visiting.